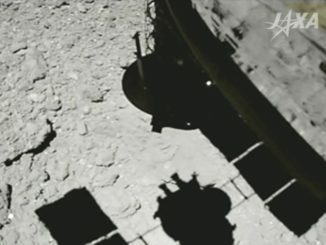 The Russian launcher’s blastoff is timed for 0636:49 GMT (2:36:49 a.m. EDT; 12:36:49 p.m. Kazakh time) Friday from the Baikonur Cosmodrome in Kazakhstan. The Fregat upper stage fastened on top of the three-stage Soyuz-2.1a booster will ignite its main engine seven times to deliver the launcher’s 73 satellite passengers to three distinct orbits several hundred miles up, then steer the Fregat toward a destructive re-entry over the Indian Ocean more than eight hours after liftoff. Friday’s launch will deploy modified CubeSats from five California-based companies, two student-built German satellites, two Norwegian maritime tracking and communications satellites, a commercial Japanese microsatellite to map Arctic sea ice, two Earth-imaging CubeSats for the Russian state space corporation — Roscosmos — and three nanosatellites developed by Russian students. 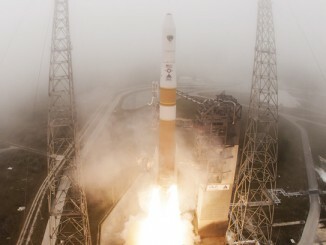 The main payload launching Friday is named Kanopus-V-IK, a Russian government satellite equipped with Earth-viewing cameras to map the planet in color to aid emergency responders, crop managers and environmental scientists. The Kanopus-V-IK satellite, which weighs more than a half-ton (approximately 500 kilograms) and is owned by Roscosmos, also carries an infrared sensor to detect and localize the source of wildfires. The other 72 satellites stowed aboard the Soyuz rocket range from shoebox- and briefcase-sized CubeSats up to 265 pounds (120 kilograms). 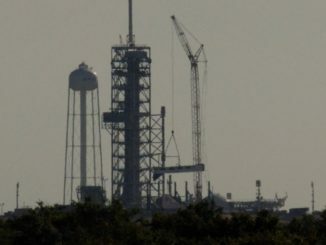 San Francisco-based Planet, owner of more than 100 Dove CubeSats currently looking down on Earth, will add 48 more spacecraft to its fleet with Friday’s launch to help the company collect imagery to produce daily global maps. 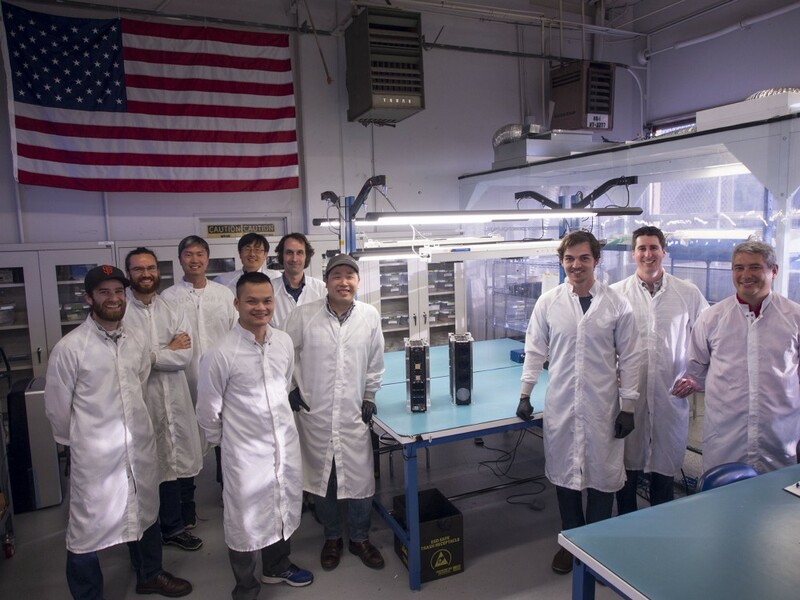 Eight Lemur CubeSats from Spire Global, another San Francisco company, will blast off in support of weather forecasters, deriving humidity and temperature profiles by measuring GPS navigation signals that pass through Earth’s atmosphere. With Friday’s launch, Spire will have sent 49 CubeSats into orbit, but not all of them remain operational. A competitor of Spire, GeoOptics of Pasadena, California, is launching three more of its CICERO CubeSats for commercial weather forecasting, using the same GPS radio occultation technique as the Lemur satellites. 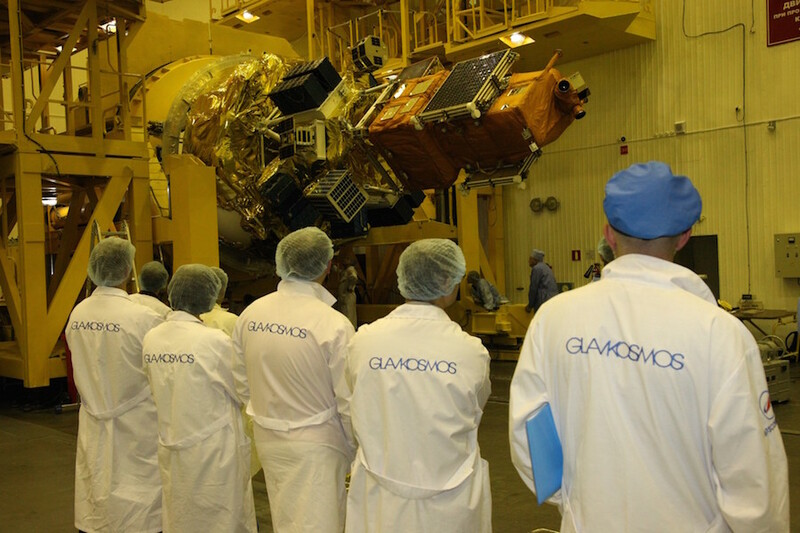 GeoOptics launched its first spacecraft last month on an Indian Polar Satellite Launch Vehicle. The other U.S. company with a payload awaiting liftoff from Baikonur is Tyvak, a launch services broker and small satellite-builder in Southern California. Tyvak’s experimental 11-pound (5-kilogram) NanoACE CubeSat will test an attitude control system, command and data handling system, guidance, navigation and control software and actuators, and visible and infrared cameras. German university students built two satellites launching Friday, including the 265-pound (120-kilogram) Flying Laptop spacecraft from the University of Stuttgart’s Institute of Space Systems. Two Norwegian-owned, Canadian-built microsatellites are heading into orbit to track maritime ship traffic. 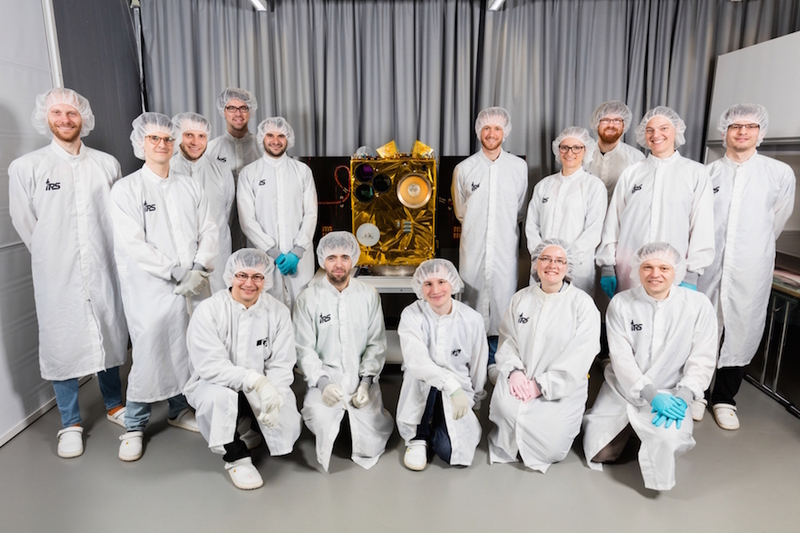 The 95-pound (43-kilogram) WNISAT 1R satellite developed by two Japanese companies — Weathernews and Axelspace — is ready to kick off a campaign to observe sea ice in the Arctic, typhoons and volcanic ash plumes. Five Russian CubeSats are also counting down to liftoff Friday. The Dutch company Innovative Solutions in Space accommodated most of the CubeSat payloads inside QuadPack deployers.